Since we live in the world in which the security issues are top agenda of various industries, we, therefore, decided to talk about how we can enhance it when it comes to e-commerce business. So, what are facilities to protect sensitive data and, at the same, build trustworthy relationships with your customers? 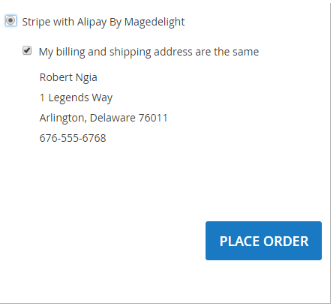 MageDelight Stripe Magento 2 Extension is a powerful tool with the help of which, you are able to improve user experience and get the security of your e-commerce website to a new level. 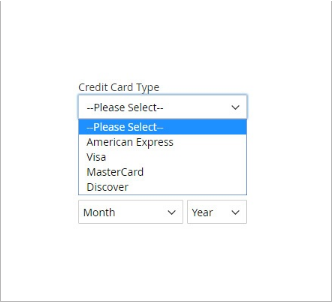 Apart from it, having installed the extension, you will be able to leverage the chance to use saved cards of your customers to place orders instead of them in the backend of your storefront, being absolutely sure that no one else can get the access to such a feature for a verification number is required. The gateway has been on the market for 6 years already and, in fact, has gained a great part of the market share. Nowadays, it provides its services to more than 25 countries, letting business owners as well as users leverage the features it offers to optimize the payment procedure and enhance the security of sensitive data. The Stripe Payment Gateway allows you to take full advantage of multi-currency and different credit card types support. Besides, as we have already pointed out it is fully PCI compliant (Payment Card Industry) for it applies stipe.js to facilitate payment information management. To learn about all PCI standards follow the Magento PCI Compliance link. 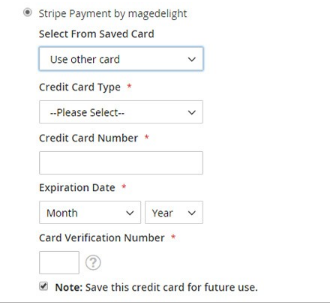 To enhance the security of customer sensitive data, the MageDelight Stripe Payment Magento 2 Extension utilizes tokenization method, which, in essence, replaces this data with randomly-generated values (tokens). Thus, the merchant does not store the information on his/her server, but possesses tokens only. Apart from it, once you install the tool, you will be able to customize checkout process, configuring payment method types, the maximum and minimum values of an order, application of the saved card option, and so on and so forth. 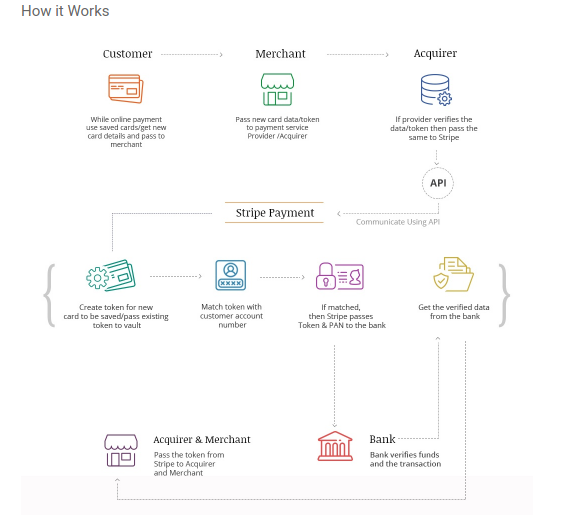 In case, you still do not have Stripe Merchant Account, please follow the official Stripe webpage to start leveraging the features it offers. As we have already mentioned, the merchant does not store customer sensitive data on its server for the information goes directly to Stripe Server. Practically, whenever a client decides to make a purchase on your website, he/she chooses a payment option, and once the payment is made, it bypasses the merchant’s server, letting Stripe Payment Gateway take care of it. 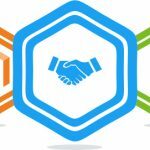 As a result, the work of merchants reduces, the trust to such a webstore increases for the Stripe Server applies the state-of-the-art technologies to guarantee secure storage. 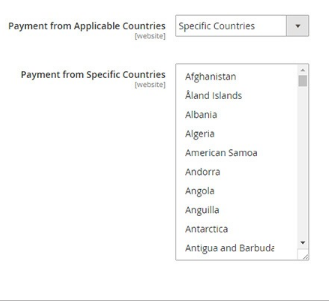 In the backend of the module, you are able to configure what countries you would like / would not like to accept payments from. So, you get the opportunity to customize your website according the necessities of your business. 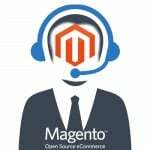 To make sure you customer will not have trouble with making a payment on your webstore, the Magento 2 extension provides support to the majority of credit card types. There is drop-down menu your customers will be able to easily choose their card type from. Simple, yet powerful. Let your customers feel their data is under their control. 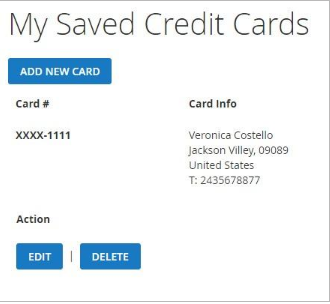 In the “My Account” section, your clients are able to edit, delete the existing cards, which they have previously saved, or add new ones to use them for further purposes. As a result, it can help you speed up the checkout process for the payment option field is already completed. As regards the security issues, we would like to put an emphasis on the tokenization method which eliminates the possibility for any third-party to get access to clients’ sensitive data since it is stored on Stripe server only. 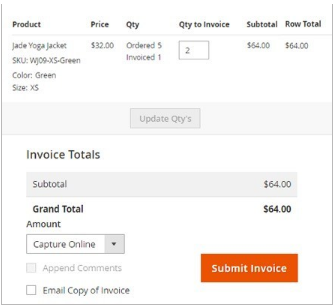 Website administrators get the opportunity to manage multiple invoices of a same order to provide even more security to webstore customers. Thus, whenever you issue an invoice the payment is reauthorized. Well, refund management is considered to be a difficult process which no consumes lots of administrators’ efforts. 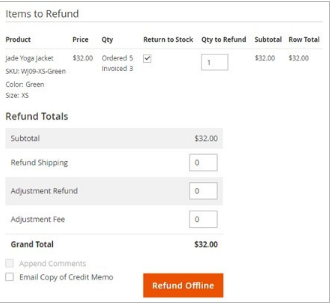 However, with the assistance of the MageDelight Stripe Payment Magento 2 Extension, you will be able to manage refunds online, not leaving the backend of your e-commerce website. After module installation, you will be able to leverage the flexibility that it offers to facilitate refunds management process. Apart from it, it is worth mentioning that there are no extra charges for refunds. Provided, you are working on China market as well, you will definitely find this feature useful for it provides support to Alipay method, thus allowing your webstore to accept Alipay payments. Again, the sensitive data of your customers is not stored on a merchant’s server, but Alipay takes care of it. As a result, you are able to extend the boundaries of your e-commerce business, simply being on the same page with customers from different markets. To get a comprehensive understanding of what is going on once a customer makes a payment, please take a look at the picture below. As you see, such approach provides a higher level of security of customer sensitive data, allowing them to use the “Saved Card” option with no risk that someone will use it for his/her malicious purposes. What benefits will your customers get? What benefits will administrators get? 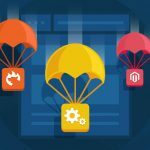 As you see, there are lots of features which are able to have a dramatic impact on your e-commerce business development. Therefore, if you are ready to enhance security of your storefront, download the module. Moreover, you will not find any difficulty either with its integration or maintenance since it is designed make your life easier, not vice versa.